We aught ought to consider whether the scheduled NYE Full Blue Moon is celebrating the new year with us (Later, 2009!) /or/ displaying its disdain for when the gov't tried to break it. Two thousand and nine is nearly done, tho reflection on the year can last forever until the next post. Based on reader enjoyment, here is 2009's ‘"Best"-Of’ listing – at least one SLOG posting from each month. * March: The New Sludge Hoody? * April: Dood, Where's my CalendAR? Gots additional favorite postings? Have your say in the Comment section. A: Gayle and David were in Los Angeles. The weather was cold, the wind was up & spirits high! The Iron Arm Distance Challenge was filled with culture, excitement and international comradery. After 2 days and 6 rounds, World Disc Golf Champion Avery Jenkins (USA) becomes THE 2009 IRON ARM DISTANCE CHAMPION! Avery threw a 167 gram chartreuse PRO BOSS 183.08 meters (600 ft/200 yds). His throw eclipsed Japanese Champion Manabu Kajiyama who threw 171.99m. Manabu also threw an INNOVA PRO BOSS. Coming in third was long time Japanese Distance Champion Shori Ouchi with 166.77 m and last to step upon the podium was Kao Wei Lun a new distance threat from Taiwan. Yumiko Tauchi captured the ladies title with a 121.32 m (398 ft/132 yds) R-PRO BOSS throw. Her disc weighed 150 grams. Yuki Fukuhara and Yukari Komatsu took 2nd and 3rd respectively. The Awards Committe met recently to haggle (& eat pizza). Happy to report the finalization of the 2009 SLUDGEY Awards and now await your presence @ the gala event. Have leftover chocolate? Really??? Try brown liquid. Heat 1 cup water or milk with chocolate in saucepan over medium heat. Add remaining water or milk, and bring to a simmer. Remove from heat, and beat with whisk or electric mixer on low, until foamy. Serve in mugs garnished with cinnamon sticks, if desired. 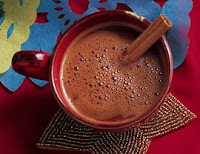 The word chocolate is said to derive from the Mayan word xocoatl; cocoa from the Aztec word cacahuatl. The Mexican Indian word chocolat comes from a combination of the terms choco ("foam") and atl ("water"); as early chocolate was *only* consumed in beverage form. Your Nominations are due today @ 4pm EST. All & any nominations are hugely welcomed for the SLUDGEY Awards! This woven cotton flying disc throws the hippie back in frisbee. Info: The Pocket Disc Sports Edition(?) 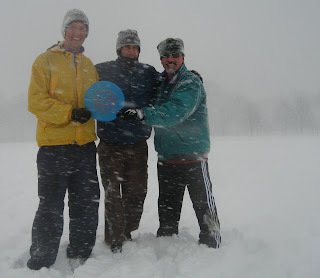 is the first true indoor/outdoor throwing disc & brings a whole new approach to toy-throwing fun! 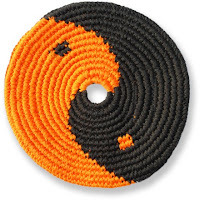 •Soft, colorful disc is made of 100% cotton and weighs only 2.5 oz. Growing up & up year after year. Welcome winter solstice! Keep your gloves close & your winter hat closer. 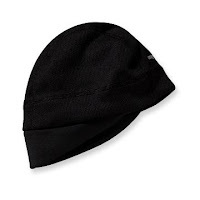 Info: A very low-profile beanie with excellent wind resistance and full ear coverage. Most hats do an adminrable job of warming the top of your noggin, but they come up short when it's time to cover your ears. Not so with the UpBe which provides full coverage with its wind-resistant flaps, which can be tucked away for a sleeker look. One color = black. Jake Francis Reilly arrived at 6am today weighing in at 8 lbs 5 oz. ; 20.5" long. Everyone is doing well & will be home from the hospital just in time for Santa. Long time since the last animated graphic! Hey inventor nerd, who you calling "dull"? Abstract: A floating ornament is positioned on one end of the spinning structure assembled on the frisbee, providing more amusements for a player when the frisbee is tossed to produce a rapid spinning action. The invention disclosed herein is a new form of frisbee to replace the conventional dull round disc. The Frisbee of the invention comprises a spinning structure and a floating ornament to provide more amusement for a player. The piercing hole on the frisbee enables a spinning structure with a floating ornament to be combined with the frisbee; consequently, the frisbee is tossed to produce a rapid spinning action in the air and retain a slow landing speed. Time is running out if you're waiting to purchase the cool, sweet, loud, stylish brown gift. Info: Handcrafted in Canada of handsome sandalwood, this wooden watch will add a rich, organic and unexpected touch to your daily wardrobe. Reddish brown with a beautiful flowing grain, this lightweight and comfortable watch is a subtle way to celebrate the natural world. Stainless steel clasp. Uses Miyota 2035 movement from Japan. Battery included. 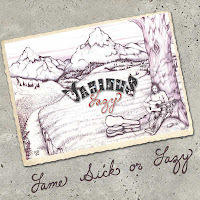 Various Lazy's album "Lame Sick or Lazy" is one of the most unusual albums to be made by a Idahoan musician. The engineering background colors his songwriting - an eccentric fusion of rock, country, bluegrass, jazz and, well, whatever else you think you hear. Like its inspiration - Ultimate Frisbee - "Pocketful of Swayze" brims with jam band-blues energy. Filled with the lingo of the sport, it's based on a saying that Maestas and his buddies used while chasing discs in Ann Morrison Park. "If a radio made out of a tree falls in a forest and no one is around to hear it, does it make a sound?" 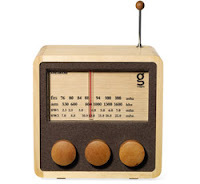 Info: This AM/FM/shortwave radio is a modern design with a retro look. It is MP3-compatible and comes with a mini-jack connector and an external antenna. Hand-crafted in an Indonesian farming village from pine & brownish mahogany wood grown in sustainable forests. Four AA batteries or AC adapter required (not included). Trying to gain a leg up on the IWGA, the 1st Annual Iron Arm World Distance Challenge will occur in Minamisoma, Japan, this weekend -- December 19th and 20th, 2009. 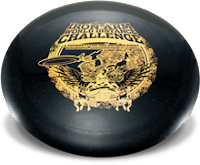 The Iron Arm Challenge features competitors from across the world (US & Taiwan) to compete head to head arm-to-arm against some of Japan’s Top Flying Disc Athletes. "The forecast for this Saturday (12/19) seems to be evolving towards a significant snow starting Friday evening. This brings up the possibility of Sat pickup SnoUltimate pickup. Start digging out your newspaper plastic bags to wrap around your feet to keep them dry & warm and I’ll see you out on the snowy field!!" Info: Breathe weave stretch woven fabric with genuine leather fingers, sidewalls and palm. Naturaloft® insulation concept: 600 fill power goose down on back of hand with Megaloft® insulation on the palm side, Lavawool® moisture management system and ultra breathable, waterproof, windproof Aquabloc® insert & gauntlet construction. There's so much in this glove, I just hope there's room for your hand. Don't let this happen to you! No acting out your pickup repression. Pick up to answer the phone; pickup to throw Saturdays at 10am. BARRE – You can add an airborne iPhone to Thomas Lauzon's lengthy list of mayoral accomplishments. This week, Barre's often unpredictable mayor put a proverbial checkmark in that improbable box when City Manager John Craig's phone started vibrating a few inches from his left hand. Without hesitation Lauzon plucked up Craig's iPhone and tossed it into a nearby corner while the manager was down the hall retrieving information for the council's consideration. Seems Craig's wife, who was casually watching Tuesday's meeting on television, mistakenly thought the council had adjourned for the night when she saw her husband get up and leave the room. She called so the kids could say goodnight to their dad. Of course he didn't answer. Neither, technically, did Lauzon, though it appeared for the briefest of moments that he might. Instead, the mayor turned the manager's phone into a Frisbee, calmly explaining its absence upon Craig's return. "Your phone was vibrating so I took care of it for you," he said without elaborating. Councilor Steven Mackenzie took it from there. "How good is your warranty?" he asked. Sludge's sweet name being sweetly muckraked. The company operates a plant in the Gunston Commerce Center industrial park in Lorton, Va., in suburban Washington. In May, Fairfax County sued Krispy Kreme, alleging that it had damaged the sewer system -- specifically, clogging it with doughnut sludge...in much the same way as it damages human arteries. The county sought $2 million in damages, plus $18 million in civil penalties. But Krispy Kreme managed to settle the whole thing for $750,000. Thanks to those who have given their Sludgey nominations! Avoid the lunchtime standoff @ the Post Office, just email them in. Bucci's new car [prounounced "kaː"] isn't a hybrid, tho it's wicked fuel efficient automobile to replace her jalopy. The To'Yaris is EPA's miles per gallon leader for the subcompact category (29 mpg city/36 mpg hwy) AND the Yaris is rated as a ULEV II (Ultra Low Emission Vehicle) AND is #8 in Worst Car names. The SLOG lives another day with today being a time for celebration & reflection. Thanks for visiting & when necessary reading! Remember the disappearing trick in April? "The ARNitect" - builder, contractor, engineer, visionary, grandpa. Multifunctional kitchen: a place where fruit, a beer & stuffed animals can coexist. Oh, the backsplash & countertops are nice too! Major electrical code issue with an exposed approach boundary. Tiger's known for his competitive demeanor; it's on full display in this Frosted Flakes-frisbee commercial (1992). Tony the Tiger's lefty scoober-hammer-thumber [@ 0:20] is FILTHY! Don't let the Brown Sweetness War waged by Gen. Mills deter you! General Mills recently announced plans to reduce the amount of sugar in its kid's cereals. The sugar in Cocoa Puffs, the brown, chocolate-flavored puffed grain breakfast cereal, could drop at least 25% from its original level & 18% from its current 11 grams per serving! Quite a reduction in brown's sweetness! CO2penhagen is the current eye of the climate change storm. The 11-day meeting hopes to reduce additional global warming temperature rising. 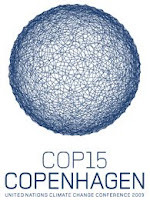 Just like another worthy cause, COP15 's logo is earthly cool frisbee-esque. Cool! Polar bears (the ursus; not the cold water yahoos) should be represented @ COP15, but they are not. The Good news: Less of a circus. More attention to the environment. The Bad news: Less polar ice = polar bears will move to tropical beaches (i.e. Canary Isles). 2) A hammered glow-in-the-dark Frisbee...Maybe. 3) A Russian missile spiraling rocket jettisoning fuel...Correct. Basics: Attempt to gain entry to a party or club to which they were not invited, often using social engineering techniques. The party crasher usually tries to blend into the party so as not to be kicked out. Imagine the Milky Way Galaxy as a frisbee. The nearest spiral galaxy, Andromeda, would be another frisbee across the room, and NGC 7331 would be a frisbee in the house across the street. The other four galaxies in the Deer Lick Group group would be frisbees in the next block. All of this is just our own little corner of the universe. The most distant galaxies we photograph would be frisbees in the next town. And don't forget the hundreds of billions of other frisbees scattered all over the place. Meteor Shower Viewing: This year's best meteor shower is coming to the U.S. Weather pemitting, the peak time to view the Germinid meteor shower = Sunday @ midnight. 140 comet debris/hour! Info: Gorgeous bronze (brown) barware is the perfect addition to any well-stocked bar. Stylish glasses are mouthblown and chip resistant. Shaker is made of durable and easy to clean stainless steel. Hand washing is recommended. Playing Saturday pickup is a sure-fire way to keep the wait-for-spring-season off. Can we blog about snog on the SLOG? 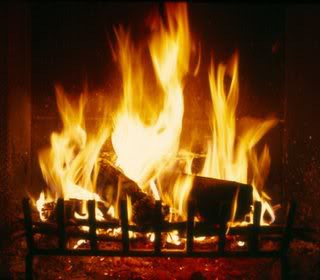 While we stare agog close to the yuletide log in a snog-induced fog?? Awaiting word on an April 2010 jog??? Yes. DON'T FO'GET: Kitchen-viewing this Saturday. REG DATE: Lottery registration closes on Fri 12/11. Brian sez: "We either all get in or none of us gets in." 3. Rent jewels &/or tux for Gala. Info: Form + function come together in this top quality sound system. 4.18" diameter (softball-size) speakers are sleek and produce audio so crisp a clear, you'll swear you can't afford it. Stands & mounts sold separately. National Weather Service has issued a Winter Weather Service Advisory that will be effect from Noon to 11PM today. Rain will develop during the early morning then mix with snow this afternoon. Moderate snow will fall during late afternoon. Snow accumulations could reach 1 to 3 inches and temperatures could fall into the lower 30's tonight. REMINDER: Let it Snow scheduled for tomorrow. 20 Questions: Is it Mousse Chocolate? Jen, an author of The Cancer Survivor's Guide, was interviewed Monday on LET's Talk LIVE [News Ch. 8]. She recommends avoiding processed meat(s) & claims the wonderfulest food in the wholefoods wide world is...broccoli. Thankfully, she avoids any knuckle sandwiches (vegetarian?) from LTL host Doug Mckelway who has a history of threatening people who know more than him. Again, hats off to Sesame St for its 40th anniversary. It all started when Big Bird emerged from a New York brownstone & started asking basic questions of existence. Here's a question: What is in the trashcan that unfortunately converted OSCAR the GROUCH from a *lovely* brown to a current green pelt? As of December 1, 2009, restaurants & bars in Virginia went smoke free. The state legislation, which was signed by Gov. Tim Kaine in March, requires restaurants to prohibit smoking within their interiors. Patrons are permitted to smoke in outdoor patios, as well as some enclosed patios that are completely separate from the restaurant & properly vented. Violators of the smoking ban can receive a $25 fine, along with restaurant owners who don’t enforce the restrictions. --> Continue to breathe fresh air @ Weekend Pickup.